Shauna started training dogs when she was 17. Her work with dogs started when she got a job at a doggy daycare. She worked there while going to college then was able to get a job at the local Humane Society. As she gained experience, she moved around the departments at the Humane Society going from kennel staff, to the behavior department, to the public training department. 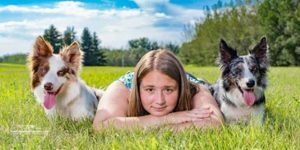 Shauna trained at the humane society for roughly 7 years before starting her own training business. Now Shauna trains full time and travels around the world teaching and competing in agility. 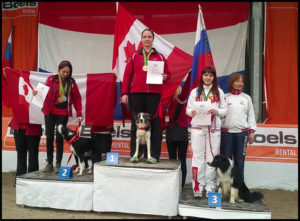 Shauna became a world level competitor in 2016 when she brought home a gold metal for Canada with her dog Splash. Shauna currently has 4 dogs , Splash, Sega, Mazda and Pixel.